Since September 2016 they have been visiting schools, auditing them and educating them with regard to OFSTED’s requirements for the Prevent duty. When they audit a school, they examine the entire IT structure, seeking loopholes or weaknesses within it. 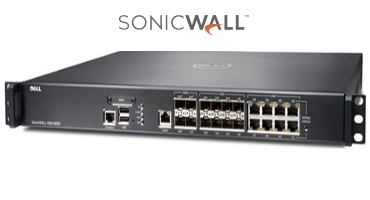 The Sonicwall firewall is a unified threat management tool. It filters any traffic coming into the school network. This can be managed by either Breathe or by the school itself. Many schools have old firewalls which would not be able to defend against attacks such as the recent “wannacry” virus. The Gen 6 (generation 6) firewall from Sonicwall has a sand-boxing capability. Any traffic coming into the school that isn’t recognised will be sent up to the cloud, expanded and opened up, and then a decision will be taken on whether it is safe or not. If it is safe it will be sent back into the school network. If it is not safe, it will be quarantined in the cloud. This is known as ‘zero day threat’. Other firewalls are only as good as the viruses that are documented. If a virus isn’t documented, then it can go straight into a school’s IT system. Sonicwall’s sand-boxing feature prevents this. This is a first rate product which effectively guarantees online safety for school pupils. It is highly recommended.